Why does my product weigh a different amount than what is listed? We have provided the nominal, or standard, weight for this product. Due to food preparation procedures, this product’s actual weight might be slightly different than stated. Add a classic deli meat to your kitchen with this Bomberger's 4.5 lb. half piece old fashioned sweet bologna. 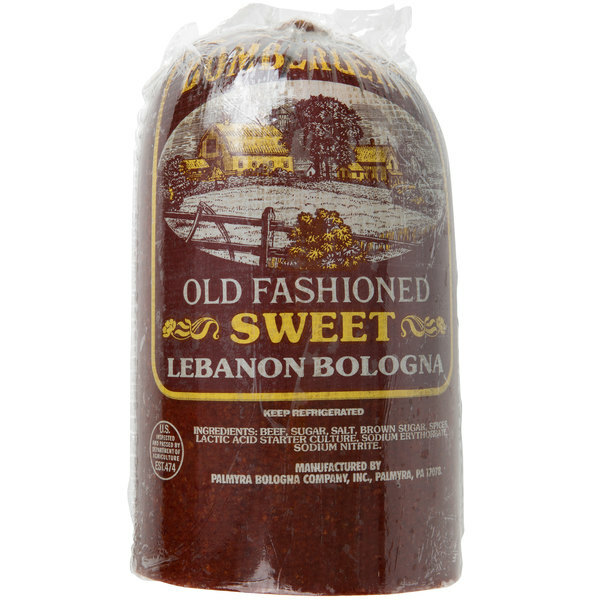 Made of lean beef, premium spices, and brown sugar to provide a high-quality product, this bologna is perfect for your deli, grocery store, or sandwich shop. Similar to salami, bologna is darker in color. It is cured in traditional smokehouses for 3 days to add an authentic smoke flavor to the meat that your guests are sure to appreciate. 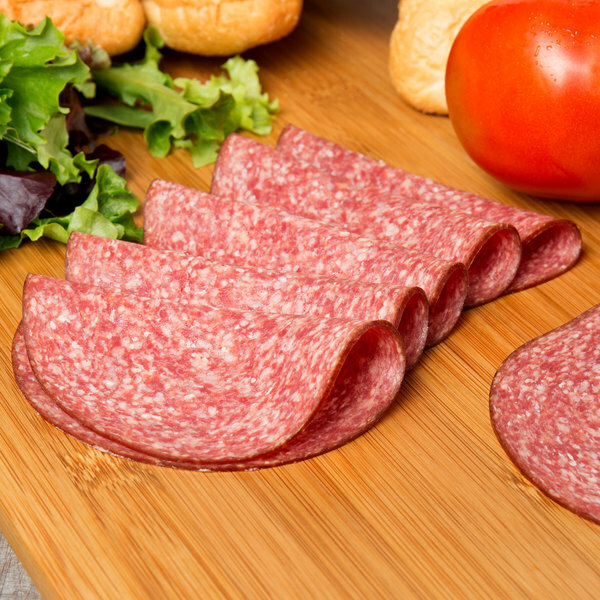 Packed as a half piece, this classic deli meat is perfect for slicing to the desired thickness for use on sandwiches or chef salads. Cut it into bite-sized pieces and serve with a side of sweet or spicy mustard for a savory-sweet snack. It's also perfect for pairing with aged cheeses and fresh fruits on charcuterie boards. For an appetizing side dish, wrap asparagus in thin slices of this old fashioned sweet bologna. Add freshly ground pepper and garlic to taste. Grill the asparagus or roast it in the oven for a savory, flavorful twist on your menu! Based in the rolling hills of Pennsylvania Dutch country, Seltzer's Lebanon Bologna is the leading producer of the regional bologna specialty. The Seltzer family acquired the Bomberger Lebanon recipe back in 1960s and they have been preparing it in their traditional smokehouses ever since. One of the secrets to their success is their old-fashioned process of smoking their bologna over hand-tended fires. Quality control over both the ingredients and the smoking process is a priority at Seltzer's Lebanon Bologna, and they pride themselves in being one of the oldest USDA-inspected operations in the country. 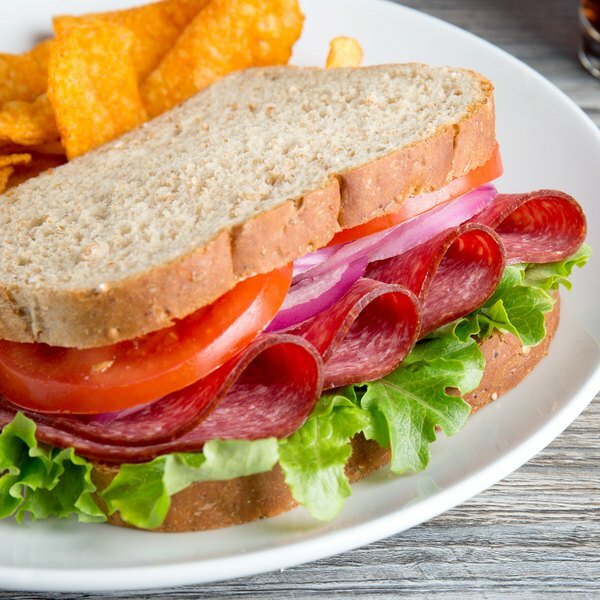 Bring the tradition of Seltzer's Lebanon Bologna to your business to add a classic, delicious product your customers are sure to love.